I have a friend – let’s call him Tom, because that’s his name. Now, Tom does not like public transport. Not one bit. 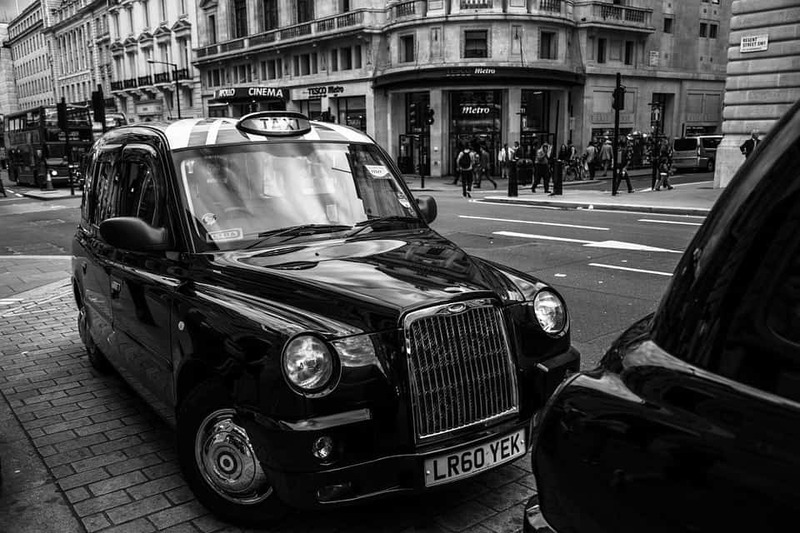 He is, however, a proud and passionate Londoner, and so is very happy to support the hackney carriage industry, and is famed for his addiction to what he calls “little black busses”. He is also very generous, so I have often found myself cadging a five-minute ride in a taxi for a journey which could easily have been walked or carried out on the Tube. Tom also has an eerie ability to sense the approaching availability of black cabs, and a keen eye for flagging them down (It’s like bar presence, of which I have none at all). 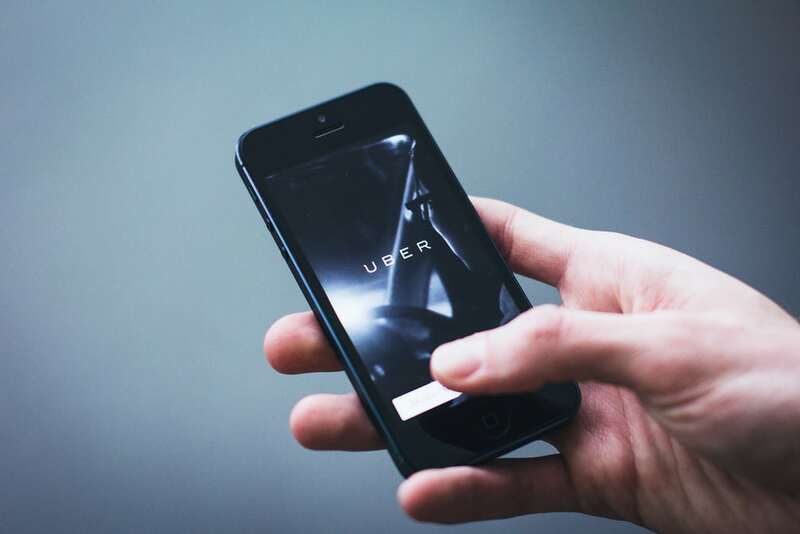 The transport scene has been changed utterly over the past few years with the appearance of Uber. The principal advantage that Uber has, of course, is price. A journey that might cost you £40 in a black taxi might be less than half that if you summon up an Uber. And, of course, it is a cashless economy. My brother recently came down to London from the frozen North, and very gallantly tried to foist notes on the Uber driver when we reached our destination in Clapham, until I explained that it was already sorted in the virtual world. Another bonus is that Uber comes to you. So long as you are sober enough to a) operate a smartphone, and b) remember the postcode of your destination, everything can be done from the comfort of your favourite hostelry (let’s not pretend, people basically use Ubers to get home from the pub, don’t they?). No mess, no fuss, just look for the registration plate you’ve been sent, and you’ll be back in no time. So Uber has been a game-changer, as people like to say. And yet, and yet… Don’t get me wrong, I’m not a total Luddite. I have used Uber on more than one occasion, and very convenient it is too. When I first signed up, I got some absurd deal whereby the journey was in the lowest price category whatever the car, and so I stood slightly awkwardly outside a friend’s house as a Rolls-Royce Ghost pulled up outside and I said “That’s my car…”. It was a very comfortable ride, though I don’t suppose I’ll get to experience it again any time soon. But Uber does have its disadvantages. The most obvious is that, like any other minicab, you can’t just flag them down. You have to have an account and the app and all the associated shenanigans. So there is a degree of foresight required, and that is not always something which is possessed by people suddenly in need of a taxi. I’m not judging, you understand, and I’ve been there. Then there is the security issue. Part of me rebels against this argument, because it seems at best stereotypical and at worst bordering on racist. But black cabbies are accredited and accountable. So, I suppose, is Uber, as you are given a name and a photograph. Yet I’m still happier getting an Uber myself than I am my younger and slightly-built sister. I know it’s not rational, but it must play on the minds of a lot of potential customers. There’s also a matter of tradition. This won’t matter to most people, but I’m that sort of person. I do worry that the venerable profession of the black cabbie is dying out. Sat-nav has rendered The Knowledge at least avoidable, if not actually obsolete. I suspect that in a generation it will be history. And London taxis are iconic. They’re up there with post boxes and telephone boxes – but then, I suppose, these too are becoming a thing of the past, as much decorative as useful. The streets of the capital would be the poorer without the great British black cab. Maybe I shouldn’t worry so much. For all the lobbying that black taxi drivers are doing to restrict and restrain Uber, they still seem to be working in a thriving industry. What is the message of all of this, you may be wondering? Well, I suppose it boils down to this: do what you want. I suspect most people pick and choose, ultimately, using Uber where it makes sense but occasionally sticking their arm out for a black cab. A mixed economy in transport may be inevitable, and possibly no bad thing. One piece of advice, though: make sure you remember your post code. It may come in handy, one way or the other. I suggest you Google “Uber have an army of 161 lobbyists and they’re crushing regulators! The article suggests Uber drivers are not accredited like London ‘black cab’ drivers. Rubbish. I’ve only sued Uber once (in Cardiff) and have no reason to defend them, but that’s just ‘Fake News’. Their drivers must have a private hire licence and an enhanced CRB check like other cab drivers. Plus other checks, see http://www.thedebrief.co.uk/news/real-life/how-to-become-an-uber-driver-in-the-uk-20160261983. BUT they have something that black cab drivers don’t – customer ratings. After each drive the passenger rates the cab driver (and vice versa). That gives an easy way to flag up any sub-standard drivers. I can’t say what Uber does with that data but you’d hope they’d act on serious allegations or bad reviews..
As a customer, I wouldn’t want to get rated. As for driver ratings – none of that has stopped the sexual assaults, attacks, accidents and so on from Uber drivers. And there’s been plenty. But that’s just it – they’re not sufficiently accredited. That you’ve sued Uber at all is horrific for a company, and the application process is incredibly lenient: far from any accreditation which would make some people confident in UberX. Also, the CRB check is arguably inadequate, as it has not stopped criminal acts by both drivers and passengers. I started using UBER after getting so annoyed with getting ripped off by London Black Cabs. I live in Bloomsbury and work in Clerkenwell. I work extremely long hours, and the 25 min walk home sometimes is too much for my old legs after midnight that I try and hail a cab between the drunks and the drunker drunks at that hour. Cue the rip off merchants. As soon as I tell them the area I live in(which is near lots of hotels) I get the run around. Through endless junctions and traffic lights and then almost to the West End before doubling back to get me to m destination. A £7 fare comes in at between £10 and £15. I find this so annoying. When I mention driving down Ray Street and round the Post office instead of the traffic light hell that is Clerkenwell Road and Grays In Road, then grunt at you because they know they have been found out. The thing is for every 10 cabs I take, 4 of them will try it on , and that is an outrage. I have many friends who drive them, I tell them horror stories, the worst was a driver who drove me on the Euston Road(from Clerkenwell) then down Tottenham Court Road before bringing me into my destination and tried to charge me £23.00..I gave him £7 and explained I live here in London and Im not a tourist..He said nothing , took the money called me a name and drove off. If Black Cabs are to survive, then they need to stop being greedy, the worst ones are the ones that have earphones in and chat on the phone all thru the journey, but then turn to you and become all friendly as they pull up and expect a tip?? ?Tell you what mate, how bout stop chatting on the phone and chat to me if you wanna tip…and dress smart like an UBER driver does. Have some self respect scruffy lot. Shorts and trainers with a dirty T shirt. I think UBER will get bigger because Black Cabs have some kind of snobbery about themselves. Truth is, if you don’t evolve your die. Just look at all the pubs we have lost, the strongest survive, the ones that evolve. The rest just turn into flats. Black Cabs need to tidy themselves up, engage more in the customer and get rid of them ghastly headphones, try not to rip people off and hopefully they can then become more appealing. Every Cabbie whines and whinges about UBER when you get into their cabs, BORING MATE,NOT INTERESTED!! We all have strife at work, we are not interested in your whining, how bout just be the jovial pleasant cab driver we all see in films? we dont want your baggage. You may think I’m here bashing Cabbies..maybe I am, I still use them for convenience, but for how long??? 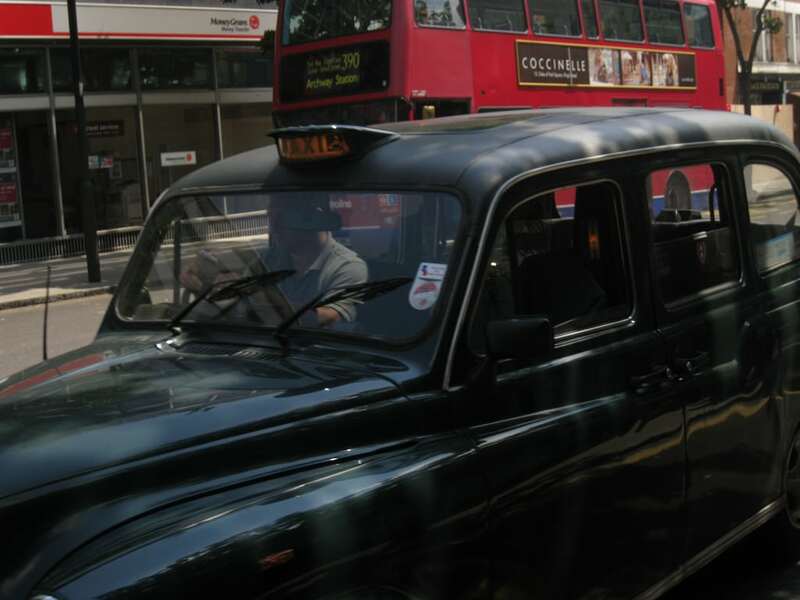 It would be a travesty to lose the iconic Hackney Carriage, so lets hope they do survive. They seem to have beaten the mini cabs who really have taken more of a bashing from UBER.